My daughter had the tv on and I caught the highlights. I don’t follow much on tv (ignorance frequently IS bliss), but I was glad to see the vows. I saw the devotion to one another in Kate and William’s eyes, and it warmed me to my soul. That’s the thing for which we all long… isn’t it? was in japan on holiday – excellent way to avoid all this monarchist tosh – they’re welcome to indulge in their ‘bread & circuses’ spectacle but not at our expense -my taxes should go to hospitals & schools rather than funding the marriage rituals of a rich minority. Re: Charles marriage- at the time Camilla was actually married to someone else as well as being Charles’ mistress – please don’t get all dewy eyed – the British royal family are possibly the most dysfunctional family in the country! Amen! And with the reaction to the death of Bin Laden, I’m all for having the royal wedding broadcast again as a repeat. Just something sweet to break from the crap. A potty break, if you will. Though I don’t mean that rudely. Thanks MJ! Yay yay yay for you! I love seeing virtual friends getting Freshly Pressed! Congrats to you! I’m so excited!!! I watched the royal wedding and loved every minute of it..The fact that the bride and groom were so much in love made it even more special..It was spectacular.. Also the subtle diana-tributes were really sweet.. I cried at all the same points! And I also cried when remembering those points, whilst reading this post 🙂 It was a lovely ray of sunshine in an otherwise quite gloomy few weeks. Congrats, Emjay, on being Freshly Pressed. I agree with you wholeheartedly. I cried and smiled and thoroughly enjoyed watching the beautiful ceremony. I pray this young couple has a wonderful future ahead of them. I live in London now (I’m American) so it was really cool to see all the craziness. After work on the eve of the wedding I went across the river and took tons of pictures of the preparations and all people camping. Really fun! I still have the wedding on PVR, and hope to watch it tonight while I’m folding laundry…love the red jackets with the bright blue sashes the boys had on! I saw Princess Beatrice’s unfortunate hat choice on another blog today…not good! We watched the reruns on the web. So I guess it took us minutes to see what took others hours to watch. Like anyone’s marriage, hope it lasts and wish them the best. Oh! and congrats on being FP! I watched! I really love the Royal family, and it was nice to see it all pulled off with such elegance and reserve. The dress was beautiful (my mum phoned me the next day and told me that was exactly the type of dress I’d suit, contrary to everything she’s said since my cousin got married). It was beautiful, and I loved it! Yes, I did with my kids who slept downstairs for the occassion. The husband made my Green tea early. I thought the whole thing was beautiful and loved the trees in the abbey. I think I cried a little as they said their vows. I might have been crabby for the rest of the day but it was worth it. Congrats on getting freshly pressed!!! And I loved the stolen moments. The holding hands in an arch when they didn’t have to wave, the chatting in the carriage, the overwhelmed face of Kate, and the hint of a grin from the lady in yellow. They look genuine and happy…and what more could we ask of anyone? I did watch! I live in the UK, so even if you wanted to watch something else- it was wall to wall coverage- could not escape it. It was beautiful, perfect even. The choice of William’s uniform (unexpected surprise), Kate’s beautiful dress (going on public display here- I am going to go see!) – the whole mood of the wedding… fabulous! I dropped a few tears myself. How could you not. To have the hold world witnessing the love of two people. What is funny is I didn’t even get into it until about two weeks before. There was the moment when Kate was saying her vowels and William was just looking at her so intensely. That’s what got me going. Oh and the arrivals! Just amazing. What a day in history! I really hope they have a different outcome from Diana and Charles. Ditto, ditto and ditto again! I cried like a baby for all the reasons you just nailed. Wonderful post! Yes, I watched. Got up extra early too. I enjoyed the actual building up of excitement than the actual wedding though. I too have sons and I cryed the minute I got up and William and Harry were waiting for Kate to come down the aisle. I gushed so much on FB about how stunning William looked that my nieces husband suggested that I might have a crush on the prince of England, I responded with “he is Diana’s son! Gotta love him! I caught the highlights. I have a hard enough time getting up to go to work let alone to go watch tv. I did however make sure I watched Kate walk down the aisle. Her dress was gorgeous, as was she. I caught a part of it in real time, but I was so exhausted that I fell back to sleep. I watched the whole thing on the net later that morning. I loved how they said “every wedding is a royal wedding”. I loved the dress and borrowed tiara (from the Queen Mum!). It was a true moment of happiness shared with the world. I could not watch the whole thing. I work. I watched every thing I could on line and on the television. I watched Diana get married to Charles and her death. I saw the pain of her two boys. I loved the faces and behavior of the new princess and her loving husband. I do not want to rain on your parade. But where is the reality. The poorer the english people become the richer the royals live. The money spent on that wedding could have done a whole lot more good spent another way. I do not understand why the british love to see a handful of royals spend the money they need to buy just the basics of life and relish it so. I watched it, but not the day of, as that was a busy travel day for work. I thought it was wonderful, touching and REAL (even with all the splendor). I hope they have a long and happy marriage. I did not watch. However, I am pleased that unlike Charles, who was prevented from marrying the woman he loved and pressured into marrying another, William was allowed to follow his heart. Maybe the royal family learned something from the elaborate disaster that was Charles’ and Diana’s marriage. Someone remarked about how could Charles have neglected a diamond in favour of a charcoal but there you go. The sad thing was that Diana really was very much in love with him. Yes, let’s trust that many lessons were learned. The love on their faces was apparent and to me – the very best part of the entire day. I did watch, along with my 3 year old daughter, who thought it was amazing that a real girl can actually become a princess. You have summarized it so perfectly. I thought about Kate a lot that next day, how surreal it must have been for her, to have the whole world watching such an intimate process. When she stepped out on the balcony, I could see her mouth the words “look at all the people!” I got carried away with it all, and especially liked the ride in the carriage. A real life fairy tale! How well you describe what I felt! I too remembered Wills walking behind Diana’s coffin, the poignant letter addressed to “Mummy” on top, I remembered how grief-stricken he must have been, yet he was not allowed to cry. So when I saw both him and Kate barely suppressing smiles all through the ceremony I cried too. I couldn’t help thinking of Diana and how wonderful it would have been if she had been there. I also thought it was all fairy-tale like, and a nice respite from all the ugliness that happens daily in the world. So yes, I was happy for them both, I cannot wait for William to be King. I am sure it is an unspoken feeling shared by many of us. What a superb post. I felt exactly the same. The hairs on my arms kept standing on end. I found it electrifying from beginning to end. The moment she stepped out of the car, the walk down the aisle, the moment they stepped out of the abbey together….and my favourite….the moment she stepped onto the balcony and said “oh, wow!” What a fantastic day to feel such pride for my Royal Family. Personally, I did not watch the royal wedding. This is a very exciting time across the world, but at the same time I was also a bit annoyed by the amount of coverage it received. I am glad that we are able to gain insight to happy times and am very pleased that you were able to get so much joy out of your experience viewing the wedding. I just don’t like watching the news in general anymore. I really could not have said it better myself! It was a beautiful thing to see in the midst of so much hatred in our world. I did too – just caught part of it, and found myself unexpectedly crying too. I wish Diana could have been there as the proud mum, to see her son not having to repeat the life she lived. monkey not watch because monkey think monarchy silly and think man william and mate kate little bit inane. monkey not understand why exceptional #1 usa america mans and ladies have interest in royal anything. It truly was beautiful to watch and i agree about it being such a good escape from the real world. so lovely. I watched!!! I agree with you. I loved with William whispered “You look beautiful” to Kate. She was a princess at that moment, whether or not he was a prince. absolutely watched and loved every single second. 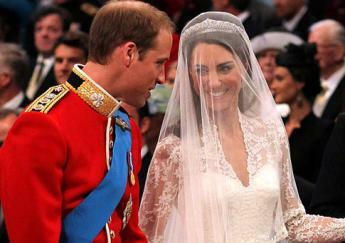 I didn’t think it would be so amazing, but I am now officially hooked on anything wedding, royal or kate shaped! http://myblogject.wordpress.com/2011/04/29/39-the-royal-wedding-of-prince-william-and-kate-middleton/ this is my post of how i enjoyed the day! I watched every single part of it!! it was magnificent and truly royal!! can’t wait til harry gets married! I too am a sap… I got all tingly when I was watching the replay of said events… I did not get up and watch… mainly becuase I had no TV at the time, my TV was being installed sometime between 8 and noon that day. If you have no TV, there isn’t much point in getting up to see the big event. I did enjoy seeing the replay. The boys looked very handsome, Kate was stunning as was her sister. The hats and facinators were, well facinating. I really enjoyed the energy and positivity of the whole event. However, I have to be honest… I was annoyed by all the hype for the months before… I guess for the same reason that I hate all the tabloid “news”… they are all people just like you and me… let them have their day in peace. If it would have been me, I don’t think I could have enjoyed it being televised for the whole world to see. It was beautiful none the less. Thanks for sharing and congrats on being FP. My favorite part was during the sermon the priest commented that they BOTH made the decision to marry each other and Catherine shot him a glance and he looked at her and grinned and then you could see that this was just a normal young man and young woman getting married, even if he is royalty, and she is now too! Yes I watched was a beautiful wedding that did that I remember feeling of my wedding. The nervous, scare and the happy that I feel in my wedding. I didn’t watch, however, I did eat an English muffin for breakfast today. I watched and I love your post about reminding us that is okay to take some time out from the bleak news events surrounding us. Thank you. I actually didn’t watch. I feel bad now. Absolutely and I couldn’t help but sigh. lol. Yeah, it’s a bright spot on the dark wall we have these past months. Totaly and Full of Joy! Lobes everything Minute of Six hours Royal Wedding infront of The TV. and Katie make a perfect couple. I especially loved their disco party..what a way to rock the Palace! Sweet post. You made me smile today! Congrats on being FPed. PS I did not get up early but i did watch LOTS of the coverage. Of COURSE we watched! This is history. We can also recall Diana and Charles, and The Funeral. The Jubilee too — and Queen Mum. The divorces, the weddings, the toe-suckings and affairs! We’ve all been through WIITH them — because they are ours and a part of us. We can also remember Nelson Mandela walking to freedom, the Moon Landing, the Shuttle Disaster, The fall of the Wall, and many more historic moments, including the World Trade Centre attack and the downfall and death of Sadam and Osama. Fabulaous stuff, and not all of it depressing! Nah, I took a huge pass of the wedding because of the media. I rarely watch TV but since March I had been bombarded with news of the Royal Wedding though the web, passing by magazine covers and TV monitors when I shop. All of that put me off wanting to see or hear anything about the wedding (also avoided my favoride UK live webcams I love to view until it was all over). Luckily I slept through it since I live on the Pacific coast and I avoid the recaps. I missed everything except the balding area on the top of Willy’s head…. i have yet to watch anything on the wedding! missed the whole thing. haven’t even seen a pic until your blog. thanks for the reminder! Yes, of course! I got some sleep before getting up at 12:30 a.m. to settle in on the couch (pillow, blanket, and iced tea in hand) and watched the whole thing. I fell asleep while waiting for them to appear on the balcony, but I later watched the kiss on the balcony and the flyover on my DVR. I loved Pippa Middleton’s dress!! YES, we definitely watched. We were already awake, so stayed up to see the wedding. The ceremony was lovely. I was elated to have witnessed it, as I did with Charles and Diana. I didn’t shed any tears, but Diana was never far from my thoughts. I didn’t want to watch it-I tried to avoid it like the plague! But I found myself glued to it, especially since my friends provided a running commentary of it on Facebook- it was hilarious! This was a lovely read. I also completely gave myself over to the enjoyment of Kate, William, and indeed all of Britain as millions even here in our States, were talking about the grandeur, her dress, and Princess Beatrice’s outrageous hat! One hundred and fifty eight comments! My gosh! I think we all loved this one. You are such a fun read. I’m a romantic too!! I didn’t watch the wedding… not sure why not, but I think I’ll find youtube videos of that second kiss! That’s the stuff.. I not only watched it, I didn’t sleep at all the night before. I was in an adrenaline rush. It wasn’t about loving the Royals or the glitter or the wealth or the hats. It was all about taking a moment in time from the turmoil that seems to have enveloped much of the world, as well as the constant hate and fear mongering of some politicians here. For a few hours, I sat mesmerized. At a real life fairy tale. At a thoroughly modern young woman who carries herself so proudly and with such grace. At a young man who is so clearly besotted. At two best friends and lovers and partners. Cinderella was about the poor girl who found her prince. This was about the prince who found something more precious than royalty. i ❤ the prince and princess! Aww … well count me in that “hopeless romantic” category as well. Yes, I watched 🙂 It was a beautiful ceremony and they both look gorgeous together. Here’s to wishing them eternal happiness! Yeah I watched it:) it was such a happy event and quite refreshing as all the news we hear about these days is pretty sad. I really wished for a moment that I were on the guest list! Yes, I did watch. I got up at 4:00AMish, just in time to see Kate receive the audience. Loved it. I even drank tea to mark the occasion! It was so great to see the boys celebrating something pristine like this. Diana would be happy. Yes I watched it and liked it. So I have told my daughter to look for a Prince. Yes I did and I loved it. Yess! I watched it, too. And, like you, my favorite moments were the little moments: Grace Van Cutsem covering her ears on the balcony while the couple kissed, Prince Harry whispering to William as Kate approached the altar, the couple holding hands in the carriage (with William gently tapping his bride’s hand) in the tunnel in the Royal Mews and breaking off when they were out in the sun again to resume waving, and Prince Harry fixing his new sister-in-law’s train as they entered Buckingham Palce. Everything was so lovely, and the couple are so clearly mad about each other, it was beautiful to see. I actually didn’t expect to like the wedding this much. Thanks for sharing your thoughts on the wedding…Nice post!!! OMG…just caught this Emjay! Congratulations on being FP’d. Another great post! My excuse…big day…AP testing…a reception for my former boss who is retiring and now dinner party in 45″. I am so very PROUD of you! PS You know I watched. I watched it. And I cried! I for all the reasons you said you did. Oh bugger Im off to get the hankies out again . . . . .
Deus abençoe o casamento deles. At least for that couple of hours, the world can recognise This Is A Real Happy Moment, isn’t it? Congratulations! Isn’t it nice to be appreciated for all the time and effort that you so diligently put into your blog! I did watch, though I didn’t plan to. I turned on the tv to catch the weather – I always rise early – and William and Harry were arriving at the Church. Like a giant vacuum it sucked me right in. The result – I was moved, a little weepy, and happy the rest of the day. Well done, I say. Although, I am wondering about Beatrice and Eugenie’s hats. They were a little ‘out there’ to say the least! Hi Renee, the very best thing for me about today’s post is that something I felt so honestly seemed to resonate with many others. I think that speaks to our inherent desire to witness joy vs. pain, positivity vs. negativity, and triumph vs. loss. Like you, I wondered about the hats (( did you see the royal blue canoe shaped one? )) and I thought, “Egad, how do they stay on?” I was joyous, weepy, touched and elated all in the span of a few hours. Wonderful! I definitely watched! As a 20 year old, the royal wedding inspired me to look more into the amazing life of Princess Diana and her wedding to Prince Charles. It’s nice to see our world celebrate a happy occasion amiss the tragedies that happen. A wedding can make anyone happy! I watched, I cried, and I got teary eyed reading your post and remembering all those moments which made me cry!! Aww .. I am sorry to have made you cry .. but am touched that the same things that moved you moved me … It was a wonderful event and I felt like a guest at that wedding .. as did many of us, it appears. Wow! Wow! Wow! Congrats on being Freshly Pressed!! Somehow I missed your post today, which, by the way, I LOVE. I totally agree with everything you wrote about the Royal Wedding! Congrats again! I did watch – though I didn’t get up at 4 a.m. to do so. I enjoyed the few hours I saw – thoroughly – and many of the women I know also watched at least part, if not live, then later on. For those of us who are “of a certain age,” it brought back bittersweet moments of our more innocent years as teens or 20-somethings when Diana and Charles married. For those who are younger, there is still the spectacle of it, which remains something that doesn’t come often. I can’t say I believe in the fairy tale (as I did 30 years ago?) – but it’s hard not to relive our richly varied and complex memories of vows and youth. What makes the over-extravagant wedding of another nation’s political figures so important to us? They most certainly would not watch the marriage of a president or Bill Gate’s daughter, so what makes THEM so important to US? Why do we care at all? Well I know I wouldn’t watch the marriage of Bill Gates’ daughter. I can’t speak for anyone else but the reason I care is because I became “attached” to those wee boys when they were just blond toddlers on their mother’s knee and to see them solemnly trudge behind her casket when she was killed tragically was nearly unbearable. As the mother of two boys, I would want to see them grow up, become good men, make good choices and marry the girl who makes their hearts go pitty-pat. And I think that HRH William did just that. But .. no one says anyone HAS to care .. that’s the great thing about TV, the internet etc .. it has an “off” button. What makes the over-extravagant wedding of another nation’s political figures so important to us? They most certainly would not watch the marriage of a president or Bill Gate’s daughter, so what makes THEM so important to US? Why do we, in the United States, care at all? I can understand in England and other parts of Europe it might be a bigger deal, but why in a place where it would not influence anything about us? Just, why? Such a sweet post – I agree with you 100%. Wish I could have watched it from beginning to end with someone who enjoyed it as much as you. Congratulations on being Freshly Pressed. Thank you for sharing! I had a Royal Wedding Brunch with my sister and friends. We made a couple days of it…..spending time together. Isn’t that what it is all about! I kept imagining how it would have been if Diana had been there, but I had to steer myself away from that because as the mother of three sons, it made me really sad. Your post described that well–weddings inspire tears for many different reasons. Congrats on being “Freshly Pressed!” All the best to you! We might be separated at birth .. is that a prairie sky I see in your Gravatar? I think it is. I remember getting up for Charles & Diana’s wedding … and this is back when we had 1 TV and certainly no DVR or way to pause anything. It was very exciting then and this was very exciting now .. the difference for me was that William and Kate appear to be very much in love and to really know each other .. I think they have a much greater shot at success because of that. I had to hold back the tears thinking of Diana and how proud she would have been to have been there. I recorded it and wathced it later. The BBC had good coverage. I later paused it and looked closely at the crowd. I took pictures to write a blog about it. I haven’t gotten around to it yet though. The wedding was nice. I did not watch, not for one second. Sorry. So happy you got fresh pressed again! You don’t need the support because youa re already so awesome, but I have awarded you the Versatile Blogger Award. If you hop on over to my blog you can decide if you want to accept. Found your post through today’s Freshly Pressed. Congrats! I wasn’t going to watch. I didn’t plan to initially. I thought all the pomp and circumstance was just silly… She comes from a family of millionaires, he’s a Prince of England, whatever. It’s only going to make me jealous. Then a Facebook friend of mine commented on staying up all night to watch an historic event, and I realized that this coverage could be a once-in-a-lifetime cultural happening to witness and share the joy of. I wasn’t born yet when Diana and Charles married. I was 11 years old when Princess Diana died, and I remember being glued to the TV, moved for reasons that were unknown to my 11-year-old brain. That was the first time I had witnessed a whole nation grieving the death of a public figure they loved, and it stuck with me. So I gave in and watched the royal wedding. I was awake anyway and loaded the stream on Hulu. And like you, I felt that in this time of turmoil all over the globe, it was a wonderful catharsis to sit and watch a union of fairytale love as the sun rose on the US East coast early in the morning. Plenty of my friends on Facebook just didn’t get it and didn’t care, but for me it was also a nice respite from all the other recent news coverage. Sometimes, fairytales are real and televised. You know, I have heard from more than one person that they “weren’t going to watch,” or that they “just wanted the whole thing to pass by,” and then … a funny thing happened, they found themselves drawn in. I’m glad you took a moment in time to witness history; regardless of every naysayer out there, this moment shall never come again. And I am delighted that the moments we witnessed were so magical. And isn’t that what most of us long for? Magic? Love? Devotion? Tradition? A spark of creativity? A look of longing, of love, of happiness? I agree so much with your last sentence, “sometimes fairy tales are real .. and televised.” You get it, and I love that 🙂 It’s that shared experience between all of us, from all over the world, that is truly remarkable. I played Far Cry 2 on the PlayStation 3 instead. I did watch the part where they were on the Balcony. My daughter and I watched the 3 hours of coverage just tonight. We taped the Friday morning episodes knowing we wouldn’t be able to watch it while my husband was home – he just wouldn’t tolerate so much sappiness in the house! So we waited until he was away at work to watch it from beginning to end. Being a romance writer and huge fan of love in any amount, I was thrilled to see the couple unite in marriage. I especially loved the pomp that we don’t have in this country. All the traditions and gorgeous conveyances! And horses! I loved every minute of it and will watch it again I’m sure – when my husband isn’t in the vicinity. nice post and selection of words, you ended it in a quip. Thank you so much; it was a wonderful day and I’m glad so many of us shared it – and saw – what made it more than just a State event. I’m so glad this made Freshly Pressed! I was frankly surprised at the # of people who said they wouldn’t watch, had no interest, thought it cost too much, why do we care about them, etc.! I watched for many of the reasons you did — I thought the sheer spectacle, as well as the happy occasion, warranted watching. Plus, I saw Prince Charles and Diana’s wedding, and the history of being able to watch both appealed to me. Like you I was happy to see William and Harry as grown men in a happier venue. I also love fashion and enjoyed Kate’s dress and the rest of the dresses, hats, uniforms, etc. But mostly it was a nice break from all the bad, bleak, depressing, terrible news. Wasn’t it nice to have good news for a change? I thought so! Sweet post! Yes, it would have been special if Diana could have been present to witness the moment. I always felt sorry for her. And it’s important to remember that in spite of the production and the spectacle, this was about two human beings starting their own very real journey together. Didn’t get to watch most of it, but my Facebook home page became a running commentary on it so watching it wasn’t necessary. I hope they last. I didn’t even attend my own sister’s wedding, so I definitely wouldn’t watch other people’s. Understand; not everyone is interested in or supportive of weddings. oooh, I didn’t watch it. I had to stay overnight at school, chaperoned my students. But I read some news and even write other features about the event. Love to see the loving couple. May they live happily ever after. Yes we all watched it over her at Fashionwidget. May God bless their union and may Diana’s soul continue to rest in peace. Amen. Too bad thet got married on a friday because i was at work. I need to youtube this after reading your post. I was 11 when the King died. Some months later, we listened to BBC commentators describing the Coronation parade. In the Abbey, it was Richard Dimbleby describing the crowning service. Then it was on the News at the movies. A couple of years later, there was a movie called ‘John and Julie’ which featured the whole thing in colour. Despite my parents’ evangelical religion, they rendered onto Edward, the Georges, and then Elizabeth, due admiration for a job that, however ridiculous in principle, is hard work well done and fulfils a positive role in these deomocratic days. When I became a man, I put away childish things and rejected not only the fictional guy in the sky playing his “see what you made me do” game of thorns, thistles, and blood redemption, but also our consitutional monarchy. I became a republican. Nevertheless, I weep at EVERY wedding. And I LOVE the TV coverage of the loyal crowds on Royal occasions. So I dedicated all five of my systems (four Sky digital boxes, one FreeView box, five TV sets) and simul-viewed the whole day (in the style of Elvis, or the White House) along with two billion other citizens of Earth. I watched! And I cried! I woke up my husband who came out of our room thinking I was hurt. Your writing is similar to poetry…. splendid…loved reading the article. Good job, and yes I did watched the wedding. I think me and the whole of the office I work in watched it. From the day it was announced to the big day itself we lived and breathed the Royal Wedding and we absolutely loved it. Here in China, everybody is talking about the fairytale, probably the last fairytale in the world. Yes, I watched the the Royal Wedding. It was not my initial intent. My subconscious was focused on the wedding. I woke after 4 A.M.; turned on the tv. I became captivated and flipped every channel possible until the Duke and Duchess of Cambridge kissed. It was such a calming and joyous experience. I felt the love as I watched. It had such beauty and community as the world watched in unison. Yes, I watched the royal wedding and it is something we will be telling the future generations about many years from now. You nailed it! I watched every minute of it plus some. On the 29th I got up at 1:00 am so that I wouldn’t miss a minute of it and proceeded to watch it and the rehashing of it for the next 15 hours or so. No way was I going to miss it. I watched his mom get married in ’81 and I just couldn’t miss it. I watched every bit of his mother’s funeral in ’97. I just love all things about her and those two boys. I did too -not early in the morning but in a later rep-, I enjoyed too and, as you said, they seemed not to pay attention to the huge bunch of people watching them. I think they were pretty concious of it, most of the time, but they were also enjoying their moment. Oh yes, why would we not wipe away a tear of joy, instead one of sadness? Having had several experiences it would get in to the bones of that person who has been here on this world already for some time. There was no way I could wake up in the middle of the night–I had to work the next day! But I did TIVO it and got all cozy the next night and enjoyed it tremendously. All six hours that I recorded! Stupendous! 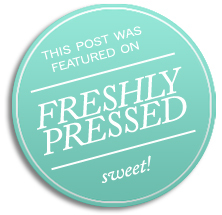 Congrats on being freshly pressed! Hey! You’re on the cover! I didn’t watch, to answer your question… But I loved the highlights you shared of him saying she looked beautiful 🙂 And, I really loved her dress! Thank you for such a good read; it was very engaging. I recorded the whole thing, and then the next day, when my brother and sister-in-law came for the weekend, we sat down and watched it together. I think the men would have preferred a basketball game, but my sister-in-law and I sure did enjoy sharing the fun of it. I definitely watched with a smile plastered on my face the entire time, whether due to the fact that I didn’t go to bed until 7:30 that morning after they had their balcony time or due to the actual wedding and all its content. I was looking forward to the wedding for so long, buying the special edition Hello magazines and annoying people by gushing over it. I loved Kate’s dress and how coolly she handles everything, and the love that is obviously shared between the two. When she was walking down the aisle, Harry looked back at her and said to Will “wait ’til you see her” which I think shows the acceptance of Kate into the family. It was just beautiful. I will remember the wedding for always! I didn’t “care” about the royal wedding until the morning it was happening and then I found myself glued to the screen. You are right, something beautiful and romantic is so rare on TV these days in the midst of all the heart-ache portrayed, I enjoyed watching the ceremony and a small part of me was living vicariously thru Kate… the small “princess” in me. I too have two boys and remember the tears I shed for Princess Diana’s sons while watching her funeral. I wish blessings on the royal couple and pray safety over them. You are so kind, and not alone in your prayers of blessings for their safe and happy future. Like many who have commented here, it seems that many of us felt a little embarassed to be “sucked” in and later “glued” to the screen. I am with you there; but, once I realized what was happening …and I simply let myself roll in the moments that were before me, I found, to my delight, that my spirits were buoyed at what we all witnessed. Love… romance… and a sweet intimacy in spite of several billion eyes upon them. And in a world filled with dysfunctional reality stars screaming, swearing and stomping for our attention, it was such a lovely little respite, wasn’t it? Yes I watched, I cried, and I repeated. I couldn’t get enough of thing the whole weekend. This is the best piece I’ve read so far on the emotional description of the wedding. Every one else has been so critical; they forget that two people who really love each other are sharing (not really by choice) a very intimate occasion in a couple’s life. Beautifully written!